The human immunodeficiency virus or HIV is a persistent retrovirus that causes AIDS. It is efficient and crafty. Once it inserts its DNA into the genome of its host cells—specifically CD4 helper T cells, macrophages, and dendritic cells—it can remain dormant and hidden. HIV can have a long incubation period. Furthermore, like any other retroviruses, the virus merges with the host cell rather than killing it. The HIV behaves like transposable element capable of inserting copies of itself in the genome of the host cell through reverse transcription. The host cell would continue to divide and propagate, carrying the genetic code of HIV in its DNA. Simply put, the host cell becomes an HIV factory. There are three reasons why HIV remains a medical challenge. First is that it infects the very cells that are supposed to deal with viral infections. HIV essentially thrives using the immune system. Second is that the virus could produce billions of copies a day inside a person who is not under any retroviral treatment. This high turnover results in errors or mutations. Some mutations could lead to the development of drug resistance. The third reason is that immune cells infected with HIV are permanent carriers of the viral genome. Virus proliferation can remain inactive due to the effects of antiretroviral therapy. This dormant state is also known as latent reservoir. However, antiretroviral drugs do not remove HIV inside infected immune cells. They just keep the virus from replicating. The host cells are essentially time bombs that can reactivate from dormancy once antiretroviral treatment ceases. But researchers are now exploring the use of a specific technique for dealing with the persistent virus. This involves using a state-of-the-art genome editing tool called CRISPR/Cas system to effectively cut the genetic code of HIV from infected immune cells. This HIV cure through CRISPR genome editing or CRISP/Cas system genome editing could leave the virus either unable to replicate inside the host cell or completely removed from the genome of the infected immune cell. Genome editing with engineered nucleases is a technology for inserting, deleting, or replacing DNA in the genome of an organism using engineered nucleases. These nucleases or so-called molecular scissors are able to break double-stranded DNA domains to allow deletion, insertion, or replacement. In therapeutic application, gene editing is tantamount to reengineering the body to correct genetic disorders or create a response to a particular illness through targeted mutations. In the specific cure for HIV, a new genome editing tool called CRISPR/Cas system provides promising opportunities because of its unprecedented efficiency and precision. Take note that because genome editing is about breaking double-stranded DNA domains, the CRISPR system would thereby work by literally cutting HIV from the DNA of host cells. It is worth mentioning that CRISPR/Cas system is actually a naturally-occurring defence mechanism found in a wide range of bacteria. Also known as clustered regularly-interspaced short palindromic repeats, CRISPR pertains to the segments of prokaryotic DNA containing short repetitions of base sequences. In each repletion, there are short segments of intergenic spacer or spacer DNA acquired by a bacteria species from previous exposures to virus or plasmids. The CRISPR/Cas system is a complex composed of CRISPR RNAs or crRNAs and CRISPR-associated proteins or Cas proteins. This complex works by degrading the complimentary sequences of invading viral or plasmid DNA. In other words, the CRISPR system is a prokaryotic adaptive immune system that provides bacteria with immune response or resistance to foreign genetic elements from viruses and plasmids. This is where CRISPR genome editing becomes a possible medical solution for curing HIV infection. In exploiting the CRISPR/Cas system to cure HIV infection, scientists are proposing the use of Cas proteins. This specifically involves modifying the Cas protein to recognise the viral code of HIV. Once introduced with the HIV-infected immune cell, the Cas protein could target the genetic code of HIV and strip the host cell of the viral genetic material. There have been several studies undertaken to examine how the CRISPR/Cas system can cure HIV infection. Researchers Yoshio Koyanagi et al demonstrated in vitro the use of a specific Cas protein called Cas9 to precisely edit the HIV-1 genome from latent or dormant infected CD4+ T-cells and block its expression. Additional details of the results revealed that the disruption not only restricted transcriptionally active provirus but also blocked the expression of latently integrated provirus. In other words, the researchers were able to use the CRISPR/Cas9 system to render HIV unable to propagation inside the infected immune cell. Koyanagi et al reminded that their technique has several hurdles. They reminded that the efficiency of using genome editing for antiviral therapy is dependent on targeting specific virus infection specific cells. In addition, there is also a need to develop a more efficient delivery system for the CRISPR/Cas9 system. Off-target effects of the CRISPR/Cas9 system should also be taken into careful consideration because this may lead to non-specific gene modification events. In another study, researchers Kamel Khalili et al demonstrated the use of an RNA-guided CRISPR/Cas9 DNA editing system to precisely remove the entire HIV-1 genome from latently infected human CD4+ T-cells. A comprehensive assessment revealed that of whole-genome sequencing of HIV-1 eradicated cells ruled out any off-target effect. The HIV-stripped cells retained their integrity and were able to demonstrate normal cell cycle without inducing premature apoptosis or programmed cell death. The actual methodology in the study of Khalili et al involved modifying the Cas9 protein to recognise HIV code. Blood was then extracted from an HIV-infected patient before introducing the Cas9 protein. Upon introduction, the protein sought the HIV DNA in the infected immune cells. The protein released an enzyme that removed the DNA sequence of the virus. The cells were effectively free from HIV. Researchers believed that reintroducing these HIV-stripped, genetically altered immune cells back to the body of a patient would be enough to cure HIV infection. The idea is that the reintroduced immune cells would propagate inside the body of the patient, thus producing new copies of uninfected immune cells that are resistant to HIV infection. 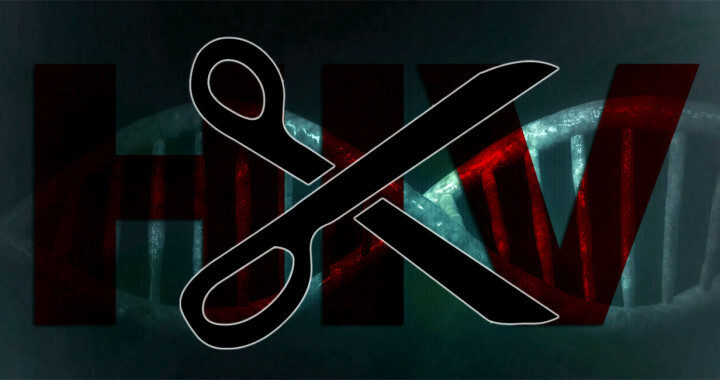 HIV cure through CRISPR genome editing or CRISPR/Cas system could be a possibility in the future. Of course, like in any other emerging medical discoveries, more research is needed to determine how this proposed solution to HIV cure could be used effectively in human patients. In addition, researchers should also explore whether HIV will quickly evolve to adapt to CRISPR. Take note that the studies of Koyanagi et al and Khalili et al have also called for the need to develop a more efficient delivery system. Further details of the study of Koyanagi et al are in the article “Harnessing the CRISPR/Cas9 System to Disrupt Latent HIV-1 Provirus” published in August 2013 in the journal Scientific Reports. Details of the study of Khalili et al are in the article “Elimination of HIV-1 Genomes from Human T-lymphoid Cells by CRISPR/Cas9 Gene Editing” published in March 2013 in the journal Scientific Reports.